Ukraine’s high court has rejected the appeal by jailed opposition leader and former PM Yulia Tymoshenko against her conviction for abuse of office. Yulia Tymoshenko, currently in hospital, was jailed last October for seven years – a term confirmed by Wednesday’s ruling. The former leader was convicted over a gas deal she signed with Russia’s Vladimir Putin while in power in 2009. She says her trial was politically motivated. The European Court of Human Rights has begun considering her case. 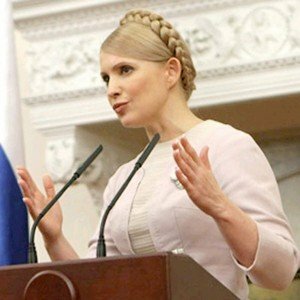 Yulia Tymoshenko was accused of betraying the national interest in 2010, after her arch-rival Viktor Yanukovych had defeated her in a presidential election. The deal with Russia that she negotiated was deemed to have saddled Ukraine with enormous costs. Viktor Yanukovych has forged closer ties with Russia, whereas Yulia Tymoshenko and former President Yushchenko sought to bring Ukraine closer to NATO and the EU. With her distinctive plaited, blonde hair Yulia Tymoshenko was a key figure in Ukraine’s 2004 Orange Revolution. Since then she has twice served as prime minister. Many EU politicians have echoed her criticisms of the Ukrainian authorities and in June European leaders boycotted Euro 2012 football matches in Ukraine, to show their displeasure at her detention. Yulia Tymoshenko argues that her detention was politically motivated and that there has been no judicial review. She also says the authorities neglected her medical needs and kept up round-the-clock surveillance after moving her to a hospital in the eastern city of Kharkiv.